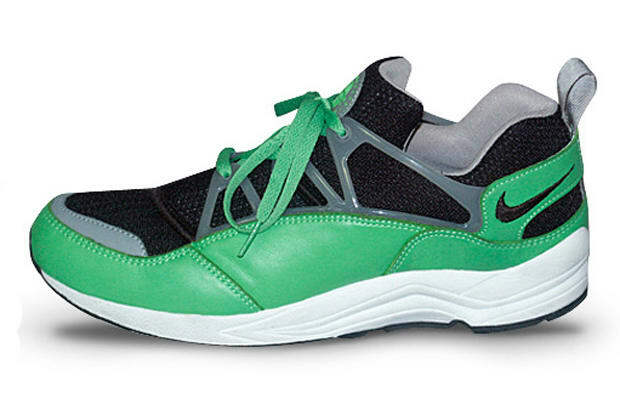 Originally released in 1993, the Air Huarache Light didn't make the same impact as the first Huarache runner — although the plastic speedlacing system may have made them a more supportive shoe. In 2003, Stüssy brought them back in lurid green and a (slightly) more sedate orange and grey. The primary difference was that the 2003s were produced with leather mudguards. A very small number were made for friends and family with the Stüssy logo embroidered on the uppers — good luck finding those.